Duck! and News! and More News! If you have any questions about it, feel free to ask in the comments section (or anywhere else where I’m bound to see it – I’m easy like that). If you’d like a review copy feel free to e-mail me. 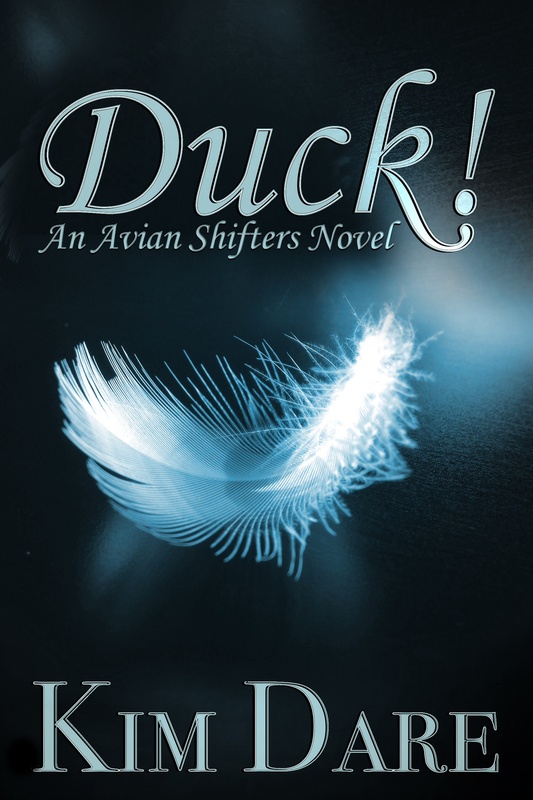 Raised among humans, Ori Jones only discovered he was an avian shifter six months ago. Unable to complete a full shift until he reaches his avian maturity, he still can’t be sure of his exact species. But with species comes rank, and rank is everything to the avians. When a partial shift allows the elders to announce that they believe Ori to be a rather ugly little duckling, he drops straight to the bottom rung of their hierarchy. Life isn’t easy for Ori until he comes to the attention of a high ranking hawk shifter. Then the only question is, is Ori really a duck—and what will his new master think when the truth eventually comes out? I have an agent. Her name is Deidre Knight. Her agency is The Knight Agency and she’s really lovely. Huge shout out thanks to Tibby Armstrong for introducing us! If you’re wondering what this means from a readers point of view, I’ll tell you where things stand at the moment. However, you might see foreign language editions of some of my books at some point in the future. Audio books are also a possibility. I’m on Facebook. I didn’t actually kick or scream but a fair bit of dragging might have been involved, lol. You can find my profile here – and friend me if you want to. You can also find my author page here – and like that if you want to. Hope everyone is having a great Wednesday! New Cover Art – Please read so you don’t accidentally re-buy without need! The print version of FIT Guys Volume 1 has been finalised. The print proof is currently winging its way to me. The cover is gorgeous. Once I saw it I couldn’t resist getting new e-book covers made for the series. The series will also appear on Barnes & Noble / Nook and iTunes for the first time. First, thank you to everyone for their kindness and understanding about the Goodreads event story I had to withdraw from. Sara’s prompt has been taken up by Julia, and I have no doubt she is going to rock it! 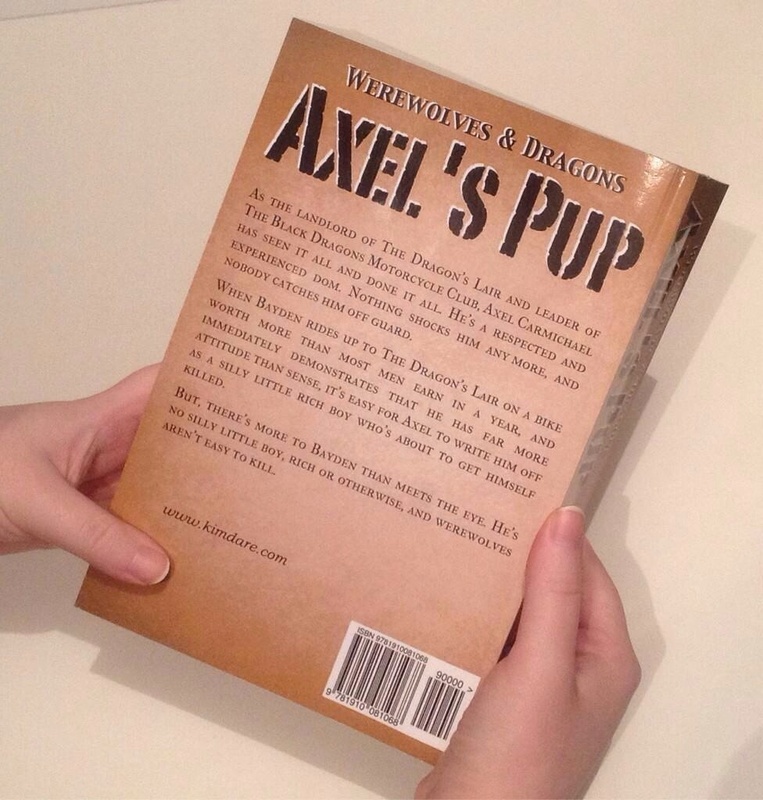 Next, Axel’s Pup is now in print. It’s actually been out a little while, I’ve kept meaning to blog about it, but I kept putting it off hoping I’d have updates on other projects to add to the post. I finally gave up on that plan, lol. 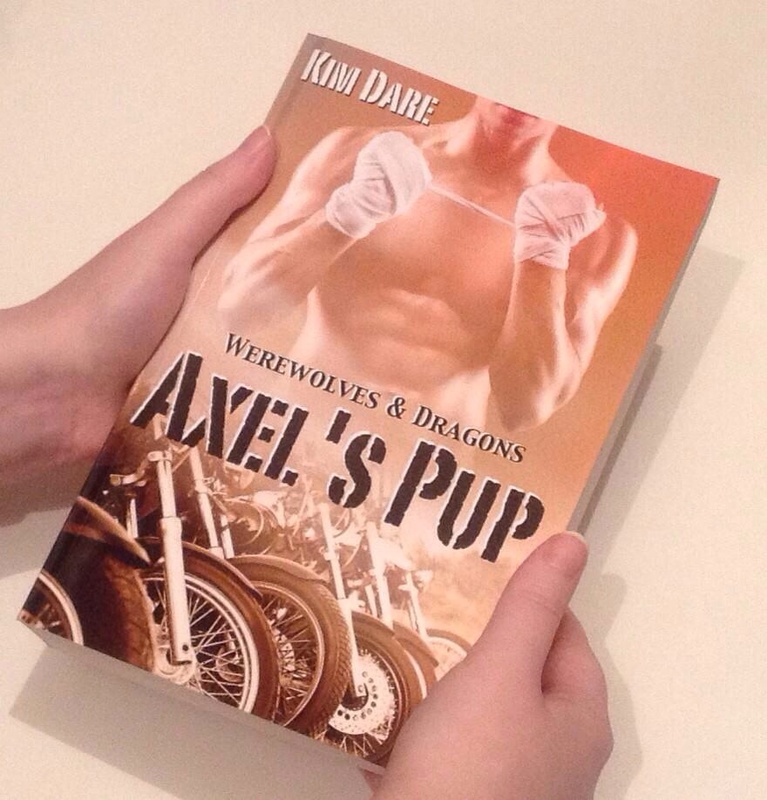 If you’ve read the e-version you’ll know that Axel’s Pup isn’t a small book. Unfortunately, the price of the print book is largely dictated by the size of the book. I’ve kept the price as low as possible. I’ll be honest – I make my living out of e-books. I’m not aiming to make huge profits on the print side of things. It’s more about giving people the option, and the fact I do love having things in print 🙂 So, I’ve just taken the minimum price and rounded up to neaten things up. It works out as £11.99 for the UK, €13.99 for Europe, and $14.99 for the US. If you’re familiar with the exchange rates, you might notice that the US price is lower than the others. I’m guessing that it is due to print costs or what-not. The book is 9 inches by 6 inches and 616 pages. You can buy it on Amazon US, Amazon UK and Amazon Europe. Just a quickie to let you know I’m guest blogging on Boy Meets Boy Reviews. I don’t usually respond publically (or privately for that matter) to reviews. This time I made an exception. Find out why here. Leave a comment on the post to enter a giveaway. There’s still time to enter the giveaway I’m doing on Amber Kell’s Blog too. Again, just leave a comment here to enter.